I think I prefer the back side of this pattern to the front. Love your videos! I'm a new knitter so please excuse my stupidity. It would be helpful if this started with the first row versus several rows into the pattern; I don't know when I'm on the "wrong side" or "right side" after I cast on. The video does start on the first row. This is only two rows, and the reason there is so much fabric is because the two rows have been repeated multiple times. There are no other steps to the pattern other than what I demonstrate. You wouldn't see anything different if I only did the two rows once. In fact, you wouldn't be able to really tell what the results of the pattern are. The reason I have worked the pattern repeat many times is to show what it will look like. 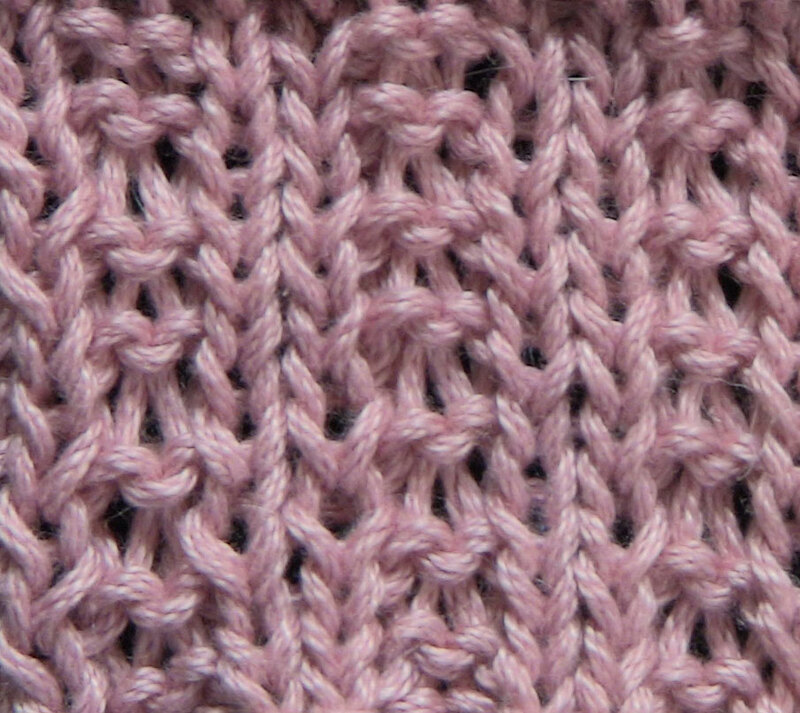 The video demonstrates the stitch from beginning to end - Row 1, then Row 2. The photos show what your right side will look like, vs the wrong side. Hope that helps. Thank you for this post! 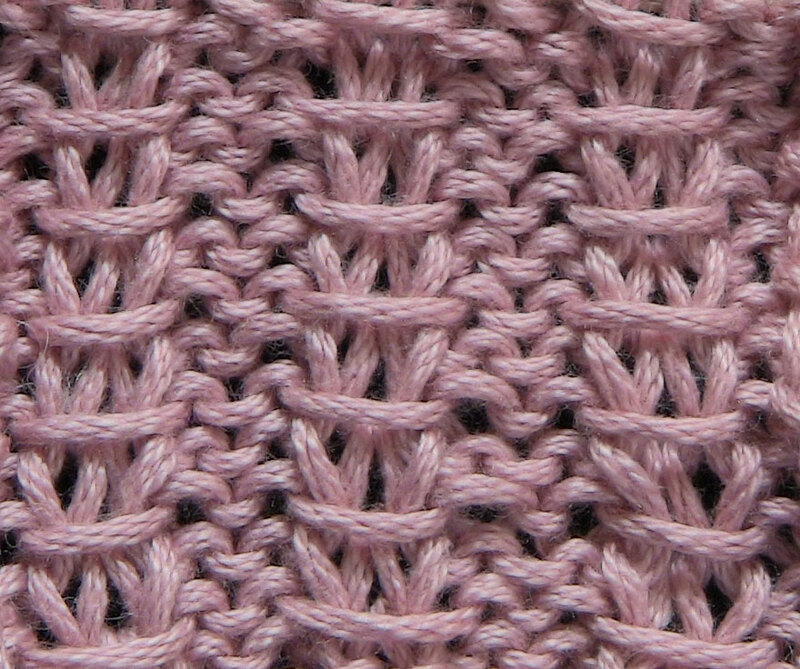 I'd like to use this stitch as the trim for a baby blanket, trim knitted in the round. After reading the post on converting flat stitches to round, however, I'm still confused. Will you please clarify this stitch in the round for me? Again, thank you so much. Omit the +2, so any multiple of four. 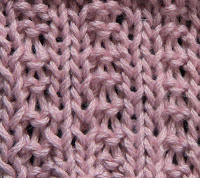 Round one omit the beginning two stitches then since this is a wrong side row you k2, p2 (instead of p2, k2). 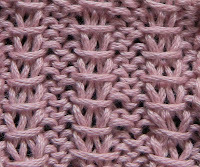 Round two you again need to omit the beginning two stitches, the rest remains the same since it is a right side row. Repeat those two rounds. So, the first row is on and I've realized that I could use some advise on incorporting the increases for the blanket's corners with this stitch pattern. Any suggestions would be greatly appreciated.